Auch deutsche Energiekonzerne kaufen immer noch Kohle des Konzerns Drummond. Trotz massivster Anschuldigungen wegen Menschenrechtsverletzungen. Wie lange noch? Wir fordern mit PAX den Ausstieg aus dem Geschäft mit Drummond! With the ‚Stop Blood Coal campaign‘ PAX aims to make a difference in the lives of tens of thousands people who have become victims of paramilitary in the mining area of Cesar, Colombia. We support these victims in their search for truth and reconciliation and push mining companies to take their responsibility and contribute to actual remedy for the victims. 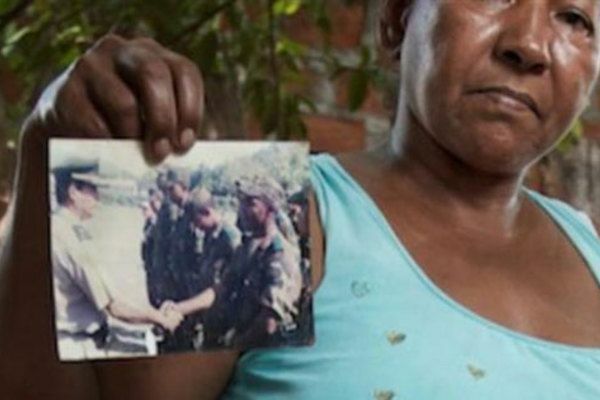 From 1996 to 2006, residents of the Cesar mining region of Colombia, from which European power utilities source most of their coal, have suffered greatly from paramilitary violence. At least 3100 people have been murdered, 55,000 farmers have been driven from their land and hundreds of people have disappeared. Even today, the atrocities faced by victims and their surviving relatives have never been acknowledged, let along compensation being awarded. Perpetrators and witnesses have declared under oath in legal processes and to PAX (as registered in pax-dark-side-of-coal-final-version-web) how the Cesar-based Drummond and Prodeco mining companies have supported the paramilitary forces with finance, equipment and information. The mining companies deny any involvement, but those victims of human rights violations who stand up for their rights, are still being threatened. PAX expects that governments and energy companies, in their role as buyers, hold their suppliers – the coal mines – accountable for the situation of the victims. ← basta ya! Der Krieg in Kolumbien – eine vergessene Krise?